Just heard from Ohio Senator Rob Portman’s office that he is now co-sponsoring the Federal Reserve Transparency Act of 2012. It’s more often than not that I disagree with elected officials – especially on matters of central banking and monetary policy, but I want to publicly thank Senator Portman as we have engaged in the conversation over monetary policy for over 2 years, and he expressed an interest and concern regarding the Federal Reserve’s influence on the economy throughout this time. I have no doubt we will disagree on things in the future, but today – I am extremely proud of my Senator who agrees with millions of Americans – the Federal Reserve must be more transparent. Great job Senator Portman! Goes to show you – there’s a free market, Austrian economist inside of everyone just dying to get out. LOL! 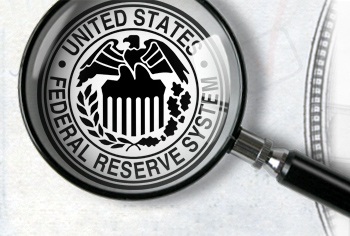 If you would like to learn more about the Federal Reserve, problems with Central Banking and the absolute decimation to the free market system it has perpetuated – read this brief summary from Robert Wenzel which he delivered to the NY Federal Reserve Board. Additionally – the best think tank in the United States to advance the Austrian School of Economics is the Ludwig von Mises Institute – with great scholars like Tom Woods, Robert Murphy, Thomas DiLorenzo and many more. Stay informed, and remember – Do not give in to evil, but proceed ever more boldly against it. Collectivism is that evil. Stand boldly for individualism. Stand boldly for freedom.